Yes, its true, I am the worst blogger ever. And, while it is doubtful that anyone is still following since I have not posted in over a year, we are long overdue for an update on the Harriet H. Wiles. "Harriet" was launched last year in June. With such a late entry into our fleet, we set ourselves the lofty goal of booking her for five weeks in 2016. By the end of the season she had set out on nine charters, which made our sales team super happy and our operations team super busy. That's just the way we like it. WOW, what a fantastic experience !!!! 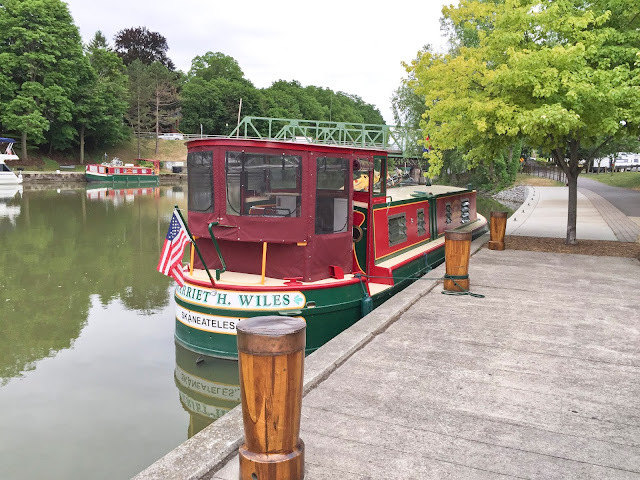 I can't find the appropriate words to adequately describe the experiences we had as we traversed the Erie Canal from Macedon to Tonawanda and back last week. As you know from our past conversations, on six previous occasions I had rented and piloted canal boats on various canals throughout France and the Netherlands. As much as I enjoyed those experiences, I must say that my experience with Mid-lakes Navigation was by far the best. We were blessed to have the Harriet Wiles on her maiden voyage for the year (some of the paint on the afterdeck was still wet when we picked her up). She is truly a gorgeous boat on the exterior, but like most ladies, her real beauty lies within. Her configuration was most ideal for two people. The galley was spacious and very well equipped with appliances and kitchen tools. However, the real bonus was the single stateroom with an oversized head (bathroom) and a very, very, comfortable queen size bed. 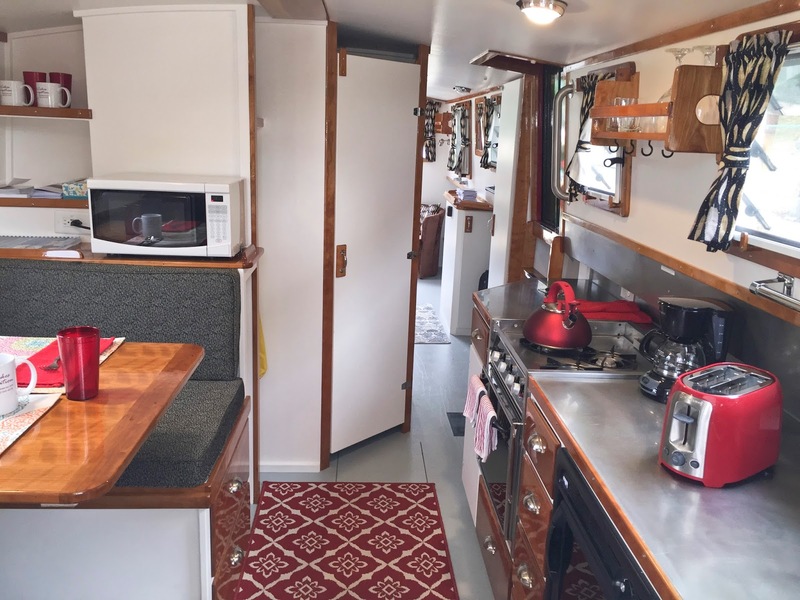 It was obvious that when she was refitted two years ago, a lot of thought went into making her the ideal boat for a couples getaway. My wife and I really enjoyed the boat, our destinations along the canal, and the reception we received from the various communities along the way. Because of her unique configuration, Harriet received a lot of attention from other boaters on the canal. I can't tell you how many open houses we conducted along the way. The only shame is that we did not have any Mid-lakes literature to share with the folks. Having said all that, I must say that the real source of our joy was the folks at Macedon. What a fantastic group of people they were. 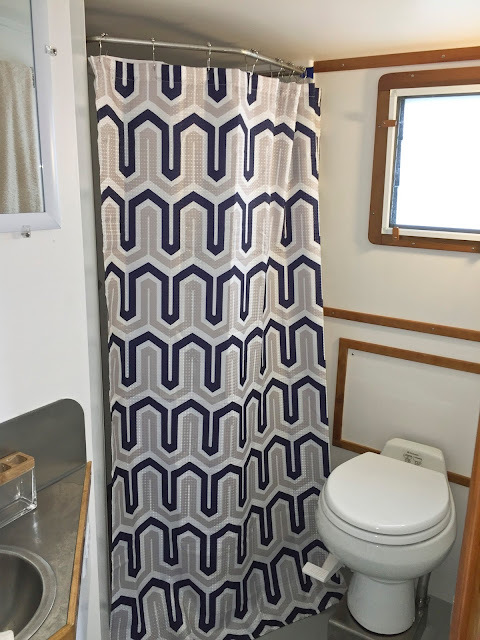 It was easy to see the passion they have for maintaining the fleet and making sure that the individuals renting the boats have the best possible experience. They were so helpful in preparing us for the cruise and in getting us off to a good start. Without their efforts, we would have been off to a slow start as we got acclimated to the boat and the cruising and docking procedures. Because of Dan's expert orientation, we were fully prepared to get underway. He even went the extra mile by making dinner reservation at Mr. Dominic's in Fairport (a most excellent dinner I might add). I guess they like her! See you on the Canal!